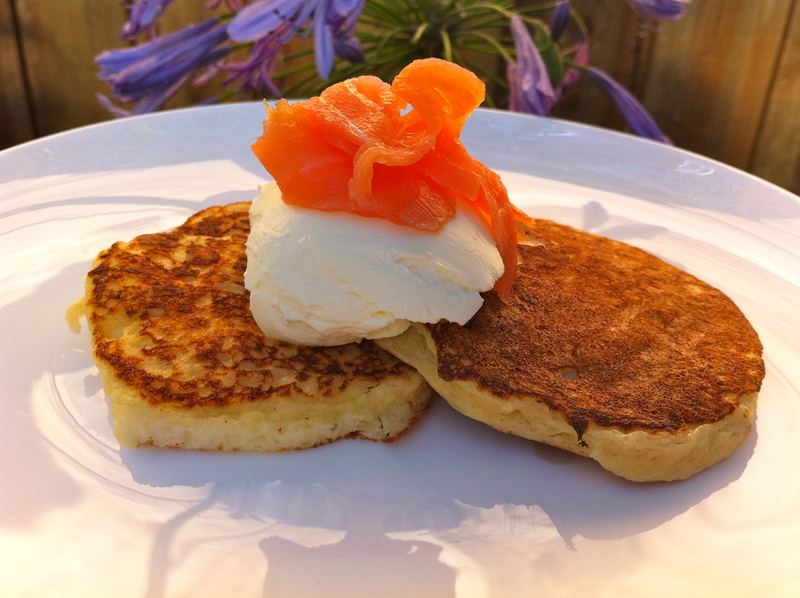 “A cross between pancakes and blini” is how Dorie Greenspan describes this week’s French Friday’s with Dorie recipe. She suggested serving them with maple syrup or as an hors d’oeuvre topped with creme fraiche and whatever catches your fancy! They really are incredibly versatile and can be served at any time of day! But just as she writes in her book ‘Around My French Table’, they barely made it out of the kitchen. As I poured each one into the pan, someone was standing by waiting for it to cook and eat! So these pancakes were a welcome treat! Light and satisfying enough to eat throughout summer. You’re only limited by your imagination as to how to serve them! I stuck to Dorie’s serving suggestions this time, but I can’t wait to see what great ideas the rest of the French Fridays with Dorie group came up with! Tags: cooking, food, french food, french fridays with dorie, pancakes, recipes | Permalink. These were pretty good – one girl ater hers plain; the other had maple syrup & I topped mine with pomegranate molasses & creme fraiche. They all were perfect toppings. How pretty! I love the salmon topping in your photo. I would have loved to eat mine straight out of the skillet, but my husband was hovering by to make sure that we would split them evenly. I will have to try them with the salmon it looks really good! I understand about those waiting for each matafan to cook so it could be eaten…except at my house that was me. I ate 9 without even thinking…before I shared one. And then I was so full I didn’t think about topping them or making a meal with them. Guess that means I really liked them. I agree – these are really versatile. I’m glad I wasn’t the only one who had trouble saying “Matafan” – LOL! So delicious looking…love the salmon topped cream…yummy! I really loved these little pancakes…they were definitely a hit in our house. Your pancakes shout summer! So very colorful. 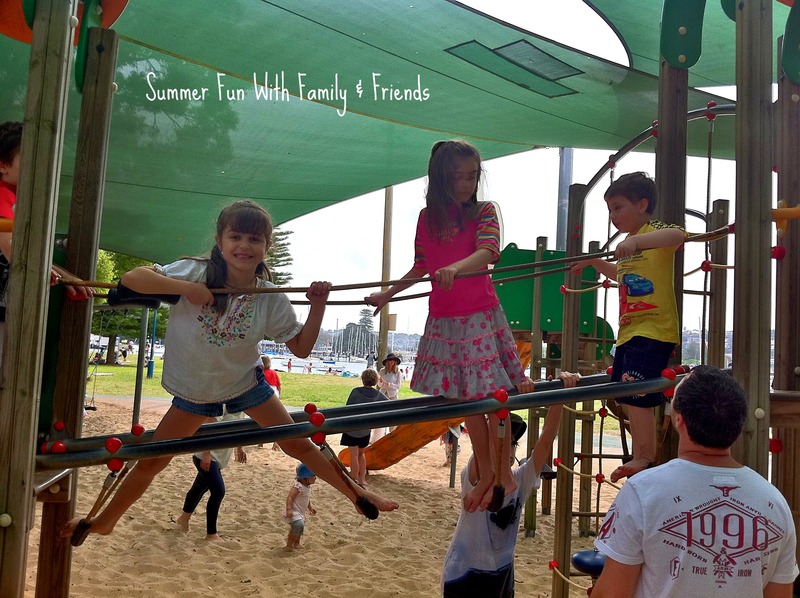 I really am enjoying your summer photos – they give those of us in who are moving towards winter months a bit of warmth. I did think they were a bit plain, but they went nicely with the side dishes we had. If I’ve not said it already, I’m impressed you are cooking along when so many of the dishes are out of season for the other side of the globe. Having said that, pancakes were always my go-to summer breakfast dish because you only needed to heat the griddle. froze. I never froze corn before, but it worked so well. The salmon topping looks great! I’m glad to hear you describe these as light – I love potato pancakes but sometimes they can feel so heavy. I’m hoping to try them soon, maybe tonight. Your post made me wish for summer, just as it starting to get cold here! Pretty – love the salmon rosette! Sounds like a perfect picnic item!